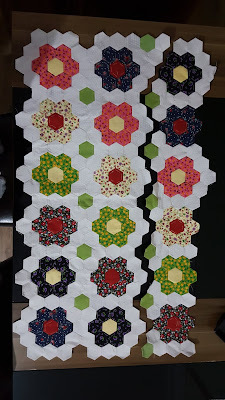 Among the quilt projects, already been started and still in progress, hexies are always my favourite. Working with hexies is like a therapy. God! It is so relaxing. The process is slow, though. But no hurries! 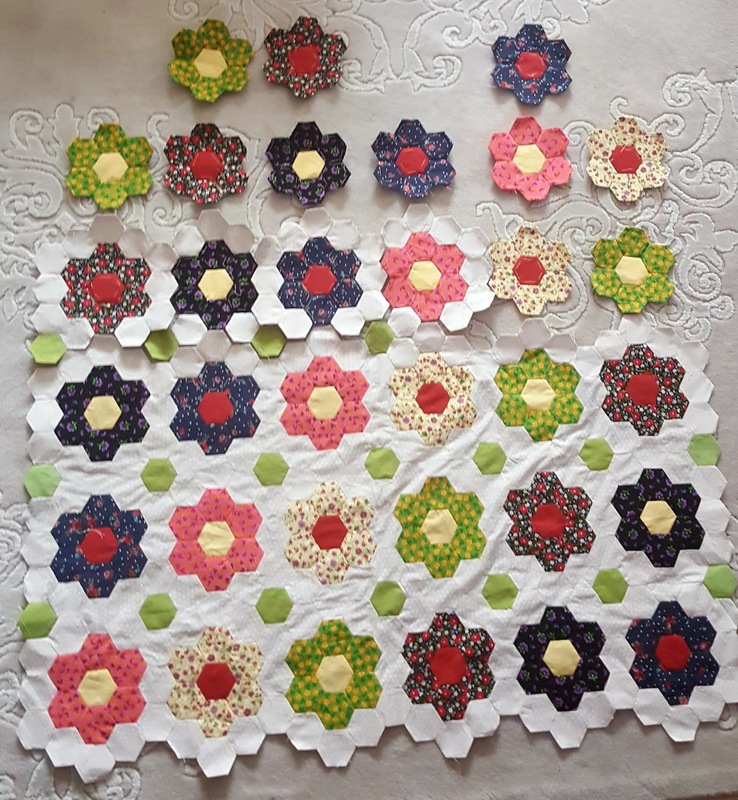 I have planned to make a flower garden baby quilt with hexagon flowers. My five year old son also loves playing with hexies and he helps me setting the layout. 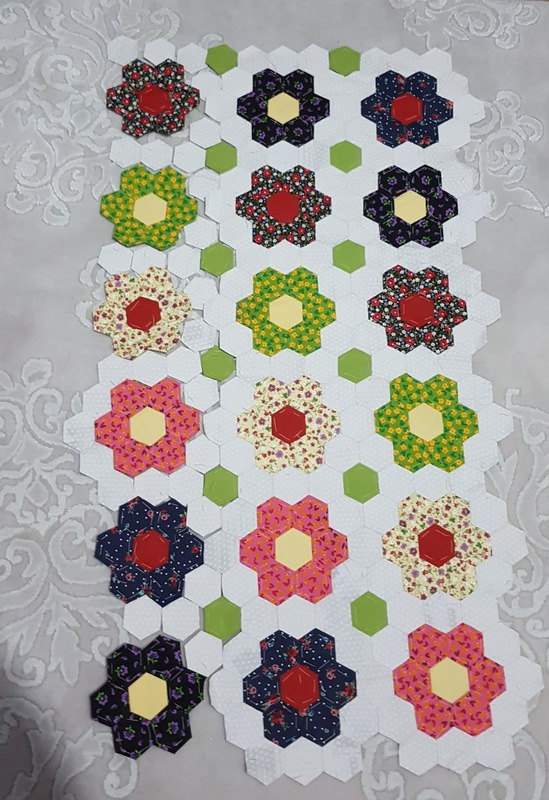 At the same time I can 't resist starting some other quilt projects, trying some new techniques or patterns. 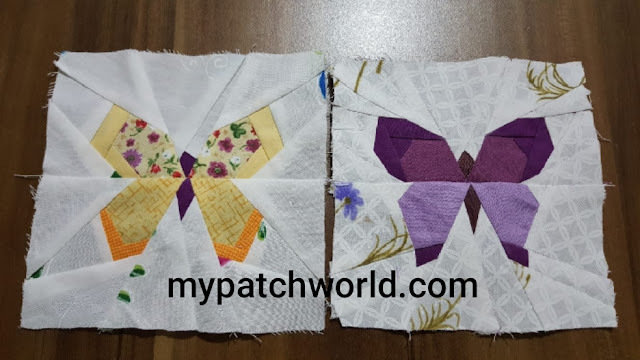 I work by english paper piecing, foundation paper piecing, hand sewing and machine sewing. All at a time! 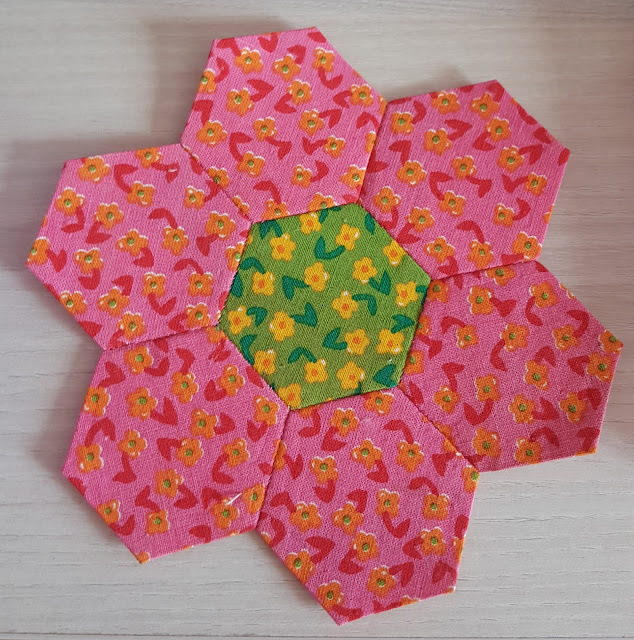 How to sew hexagon flower tutorial. There are many variations of flower gardens and the options are limitless. 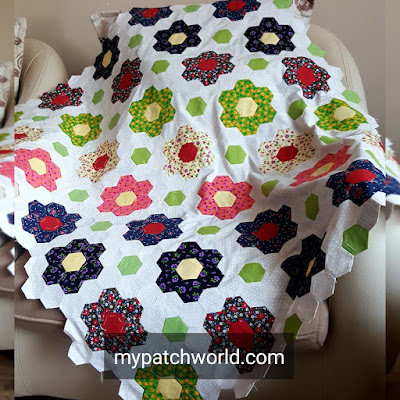 I admire the creativity of these quilters with different quilts. 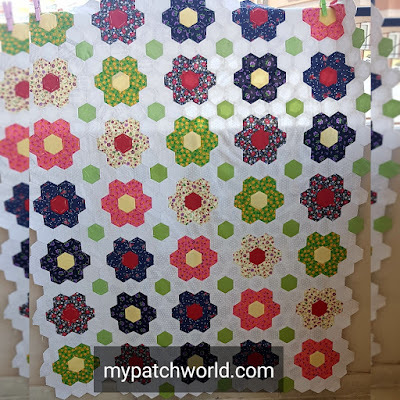 Here mine is a traditional flower garden quilt. 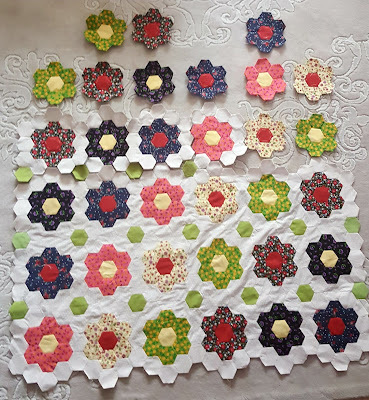 Once basting the hexies, I prepared the flowers and then it comes to assembling the flowers together. I was concerned either to go row by row or flower by flower. So I decided to go flower by flower. 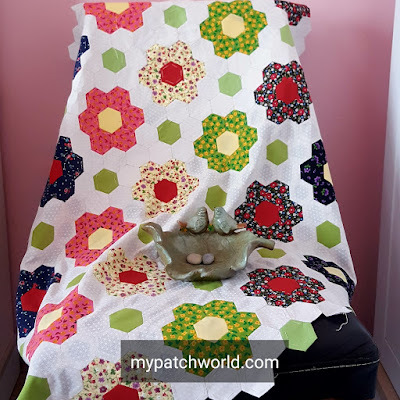 Though working with hexies seams easy to work, it takes a lot of time. 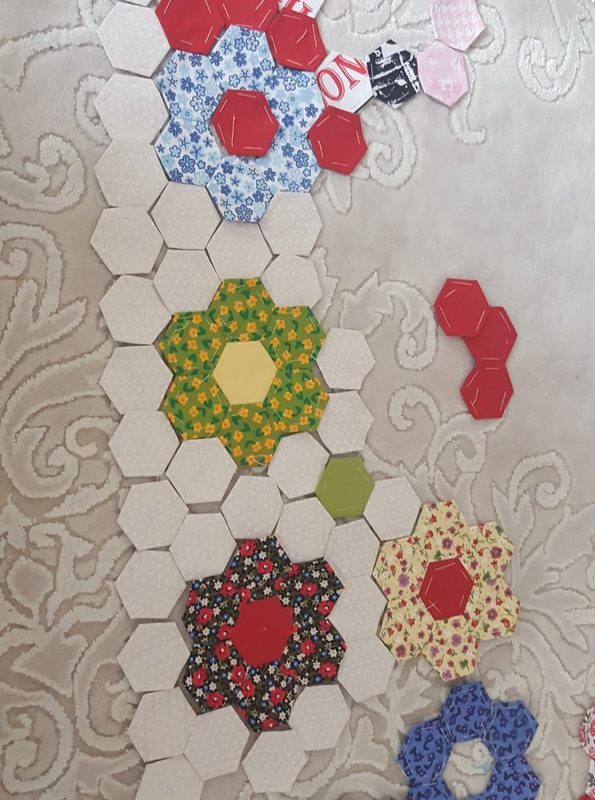 I used 1 inch hexagons here. Just will be so happy when it will be finished. I almost finished the quilt top of this hexagon flowers baby quilt. 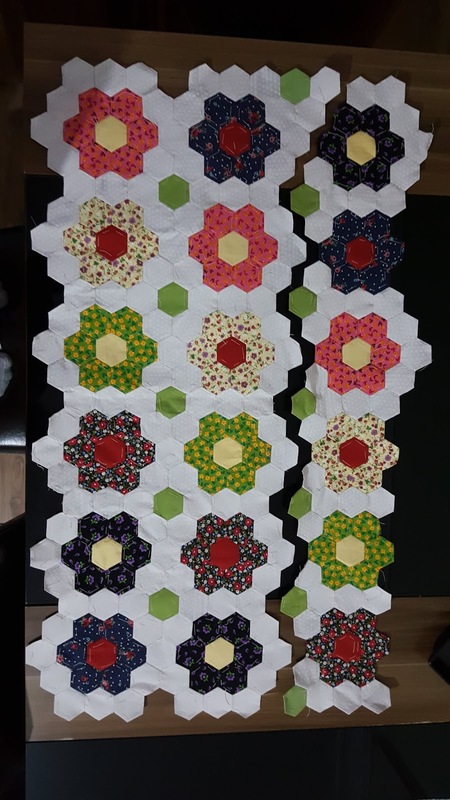 I will just add sone more hexagons and then a border. 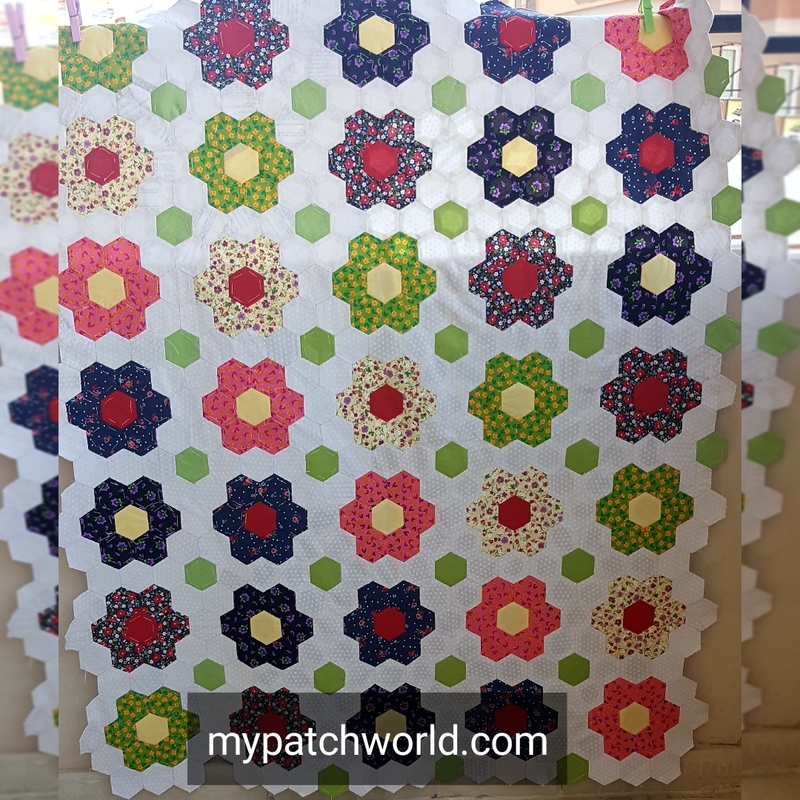 Then comes the quilting part. I am quite happy with the result. It will most probably be gifted. Once it's finished, I will share the final result but just couldn't wait to share before I have finished. What are your WIPs anc how many do you have at a time?